I took some photos of the sheep on a cold day whilst walking in the Lakes. 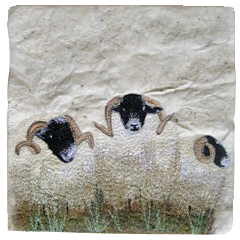 These provided me with the inspiration for these sheep studies. Made using cocoon strippings felted to merino wool. They are machine stitched using many different types of thread – shiny rayons, cheap polyesters and thick jeans thread. 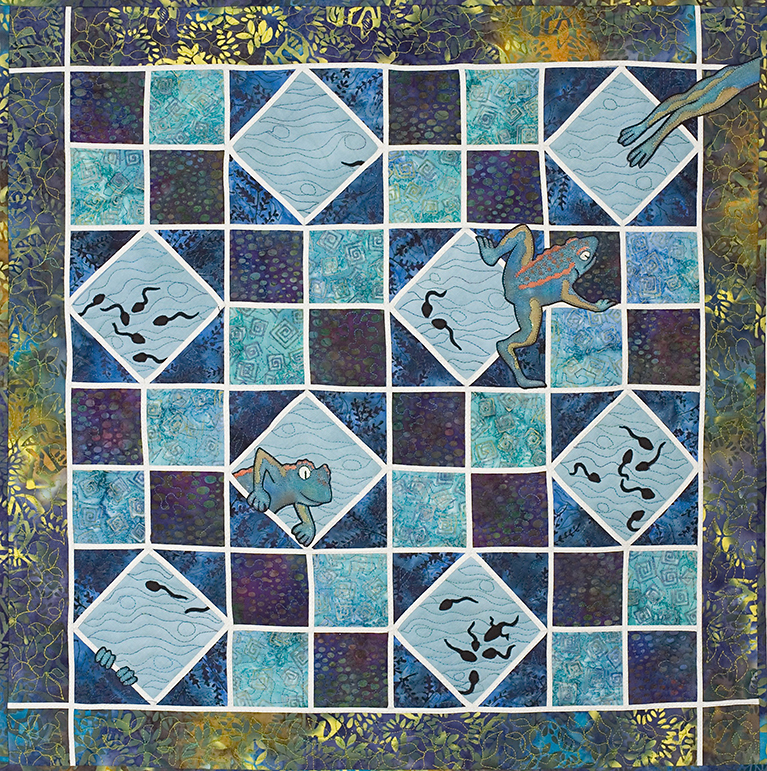 Machine pieced cotton batiks with hand-painted and bonded-applique frogs (and tadpoles). Machine quilted. "Frogs escape from the bathroom tiles to freedom in the wilderness beyond." 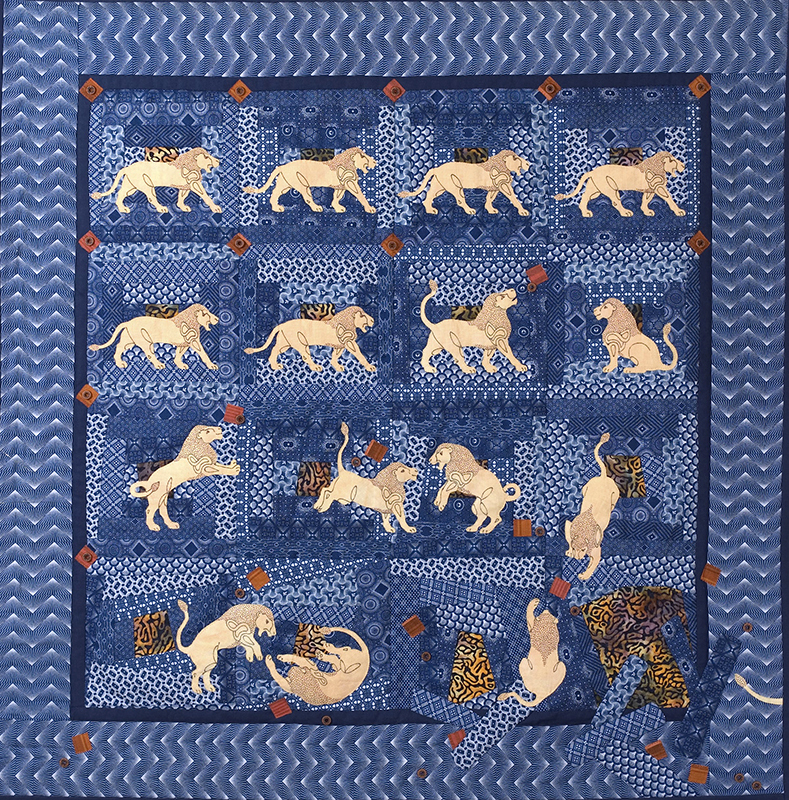 Machine-pieced log cabin with hand-appliqued lions, blocks and beads. Hand quilted. "Naughty African cousins of the famous Babylonian frieze lions break free from their courthouse steps with disastrous consequences." My son's cub blanket made for his 8th birthday. 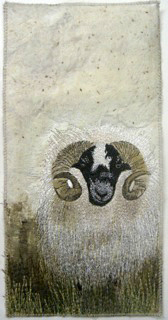 It has his pack colours as a border and is now covered in badges It is . Applique. 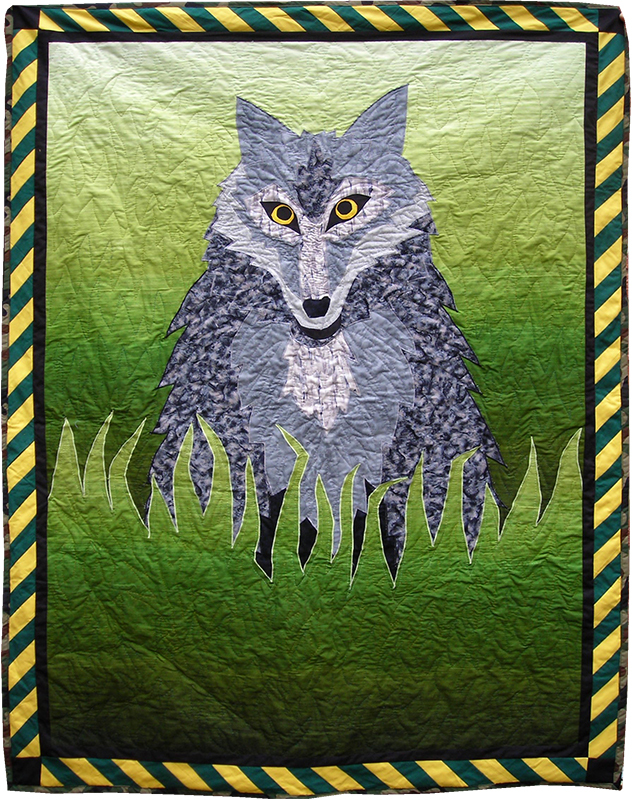 This quilt was on display in York as part of the Quilt City exhibition in Autumn 2012. 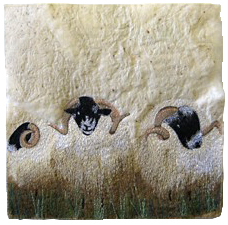 It is made from hand painted fabrics that have been cut and layered with raw edged appliqué. Hand stitching and free machining draw in the detail. 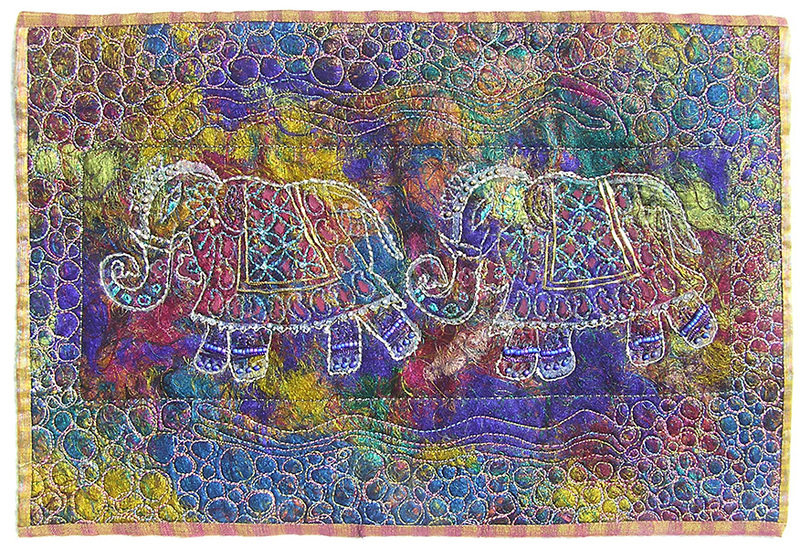 2013 Journal Quilt based on using Sari Silk. 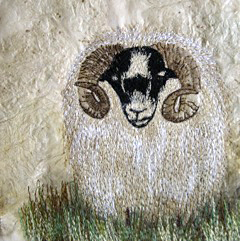 Background is made from the raggy weft edges bonded down. Cotton fabric, polyester and rayon thread. Surface design background. 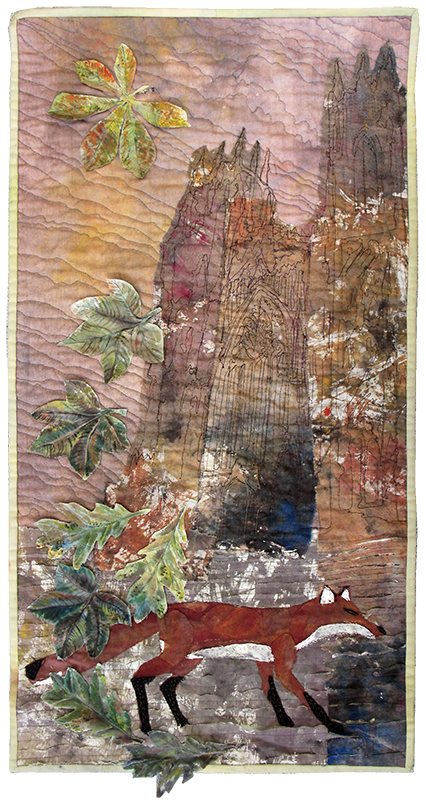 Image thread painted over sketch copied onto fabric with printer. 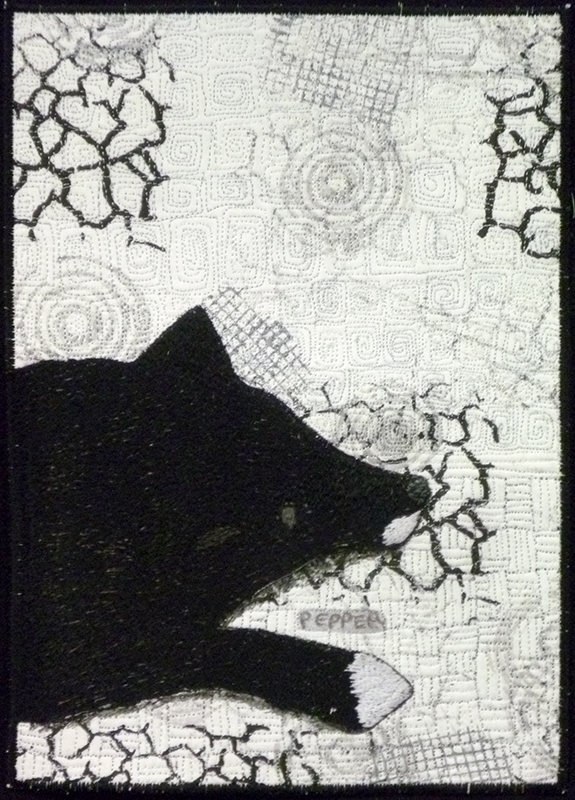 Made for the theme Extraordinary Animals on the Sketchbook Challenge site. 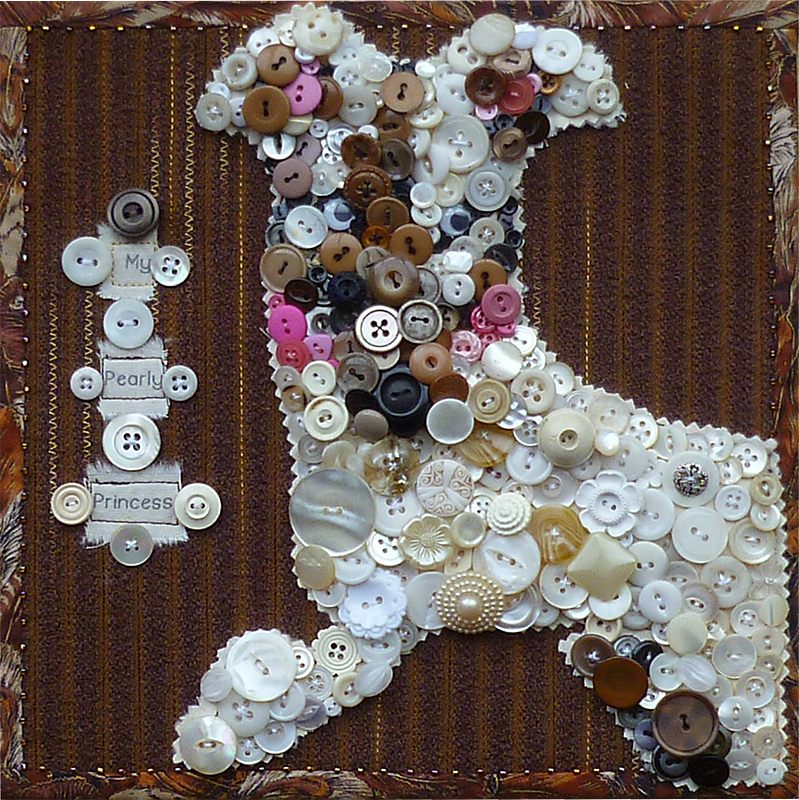 It's my own greyhound Troi, executed in lots and lots of buttons! Cotton prints. 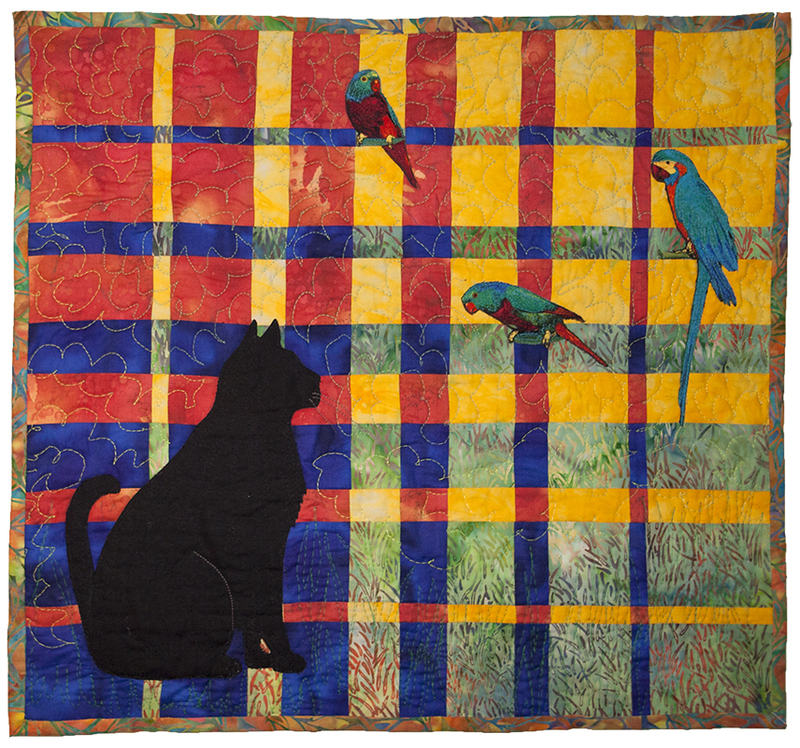 Background using Ricky Tims colour convergence technique with free machine appliquéd parrots, cat and quilting.